A good education is so important for our children, but sending the kids back to school with the right supplies is getting more and more expensive. 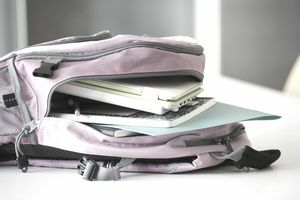 The National Research Federation estimates that in 2017, school supplies for the back-to-school and back-to-college season are expected to reach $83.6 billion dollars in the United States, a jump of over 10% from the year before. If you'd like to keep more of that money in your pocket, how about spending a few minutes' time each day to enter contests and sweepstakes that are giving away free school supplies? You can also find giveaways that support education in other ways, including free scholarships, Box Tops for Education prizes, teacher supplies, playground makeovers, and more. By spending a little time each day entering online sweepstakes, you can make a big impact on your child's education and become a star at your kid's school. But back-to-school sweepstakes aren't just for kids. If you are in college yourself, you have a great opportunity to further your own education with these educational giveaways. If you win a free scholarship or the free supplies you need for the current quarter, you will have less financial pressure to juggle alongside your studies. If you'd like to find even more sweepstakes that can help you make the costs of education even more affordable, check out these cash sweepstakes and these sweepstakes giving away free computers and laptops. Enter to win NASCAR and other car racing prizes.